Now that summer is over and we are deep into fall gardeners need to take a new perspective on their gardens. With the new season you might be considering making house revamping projects, and numerous other things too long to list here. It’s also the time of the year when your backyard might need some livening up and extra attention. For this, what better than checking out a few cheap flower packets to add to your yard for great pops of color? In this post, we’ll look at five specific flower packets you should definitely check out and try planting if you haven’t already. Gardening and taking care of your beautiful flowers not only make your home cozier, but it’s also a great pastime that can be calming as the new season that’s coming. Let’s look at the 5 flower seed packets you should definitely try planting. These flowers are downright gorgeous and can fit any type of backyard. These perennials come in white, pink, or red arrays of color and are full of personality. Their elongated tight array of flower petals give them an interesting look and add fullness and personality to your garden. They’re also great for indoor floral arrangements and bouquets and are a great source of pollination for bees. The best part is that these flowers are easy to maintain and don’t require too much care. This is great news as it goes on to show that keeping a garden alive and thriving with beautiful flowers don’t necessarily require much work. This plant would be a beautiful tall addition to your garden. It is a plant found in South America and has lots to offer in terms of looks and complementary colors. The cherry sunflower looks just as its name describes it. It has a purple inner circle with a beautiful faded feel at the end of each petal. Think of a usual sunflower revamped with color. 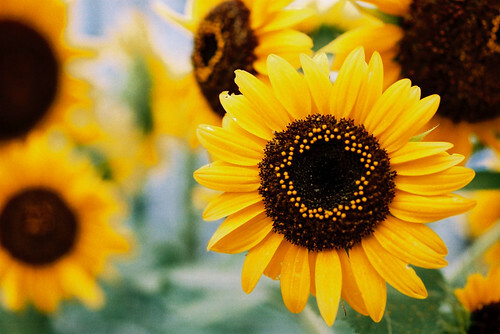 The cherry sunflower can complement any home with its many colorful petals. Just make sure you plant them in an area where they’ll get plenty of sunlight and also where they won’t get excess water, as this can make their deep roots rot and you won’t see them flower successfully after planting them. This mixture of California Zinnias is sure to add a pop of color to your garden. They come in a wide array of colors ranging from purple to orange and even white. These flowers are great for outdoor planting and are rather sensitive to being transplanted. 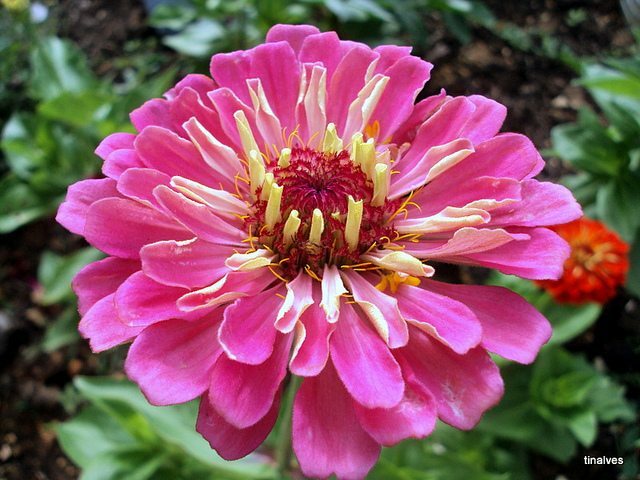 California Zinnias have long stems and they flower about 75 days after first planting them. They are easy to keep and a breeze to plant. If you decide to plant anything at all, California Zinnias should be on your list for sure. These flowers are the quirkiest of the bunch due to their look and feel. They have a deep brown fuzzy center with some beautiful downward pointing petals. Kind of like when you turn an umbrella upside down due to high winds. These forward facing flowers are called rainbow flowers because of their wide array of color that can be a fun addition to your garden. Their colors, red, pink, purple, white and yellow are all over the spectrum. They are also great for helping honeybee colonies thrive, which makes for a healthier garden and a healthier environment overall. Peruvian Lily seeds get their names from their origin and are a wonderful addition to your garden. They spread so that, year after year, you get a greater amount growing in your garden. It’s often said that these flowers are great for creating borders around your house, around bigger plants, or even around flower beds under trees. One afternoon of planting flowers can make a big difference for the rest the season. Why not take the time to create a great living space? Remember, when choosing your flowers, you want to make sure you pay attention to complementary colors, shapes, and textures for the best look. Once you have those down and a few gardening tools to help get you started, there is no telling how much you will beautify your front or backyard. Have you added flower planting as a part of your home remodeling list yet?